ProStop brake shoes promise safe and sure stopping power. Bonded or riveted depending on your vehicle's original equipment specifications. ProStop brakes provide a perfect fitment to your vehicle. Brake shoe hardware included where applicable. ProStop brake shoes are 100% Asbestos free. Pins and levers are included where applicable. 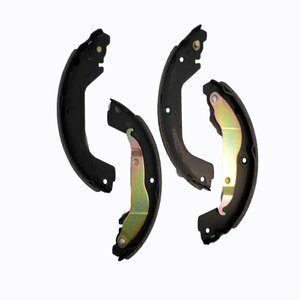 A moderately priced relined brake shoe option. Pairs perfectly with our assortment of ProStop Brake Drums, drum hardware and wheel cylinders.